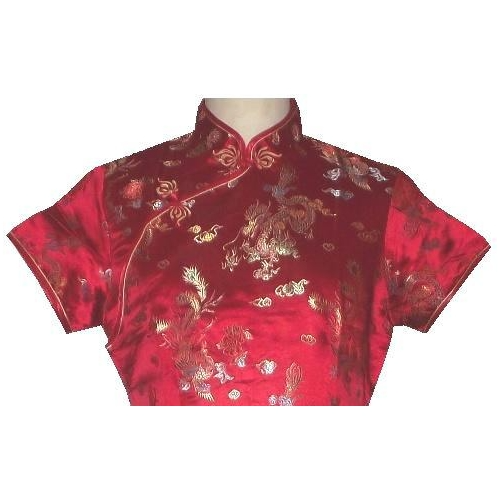 Red Chinese dress with a dragon and phoenix pattern. 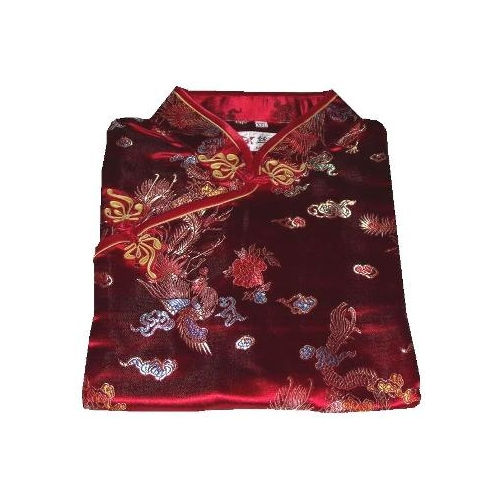 A short length ladies Chinese dress with a mandarin style collar, short length sleeves, and small side slits. 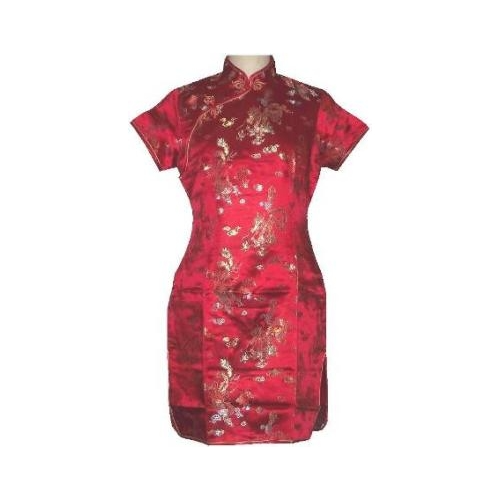 This oriental style dress is fastened with floral frog buttons. This garment should be washed using dry clean only.